A species with pink, red or white flowers in summer on stems to 50cms high. A super Dianthus for the back of the rock garden or trough with slender grey-green foliage being linear and borne on stems in an opposite formation up the stem. Flowers are held on the tops of the stems and reach up to 50 cms high or so. Each stem carries two or three flowers which open in succesion. 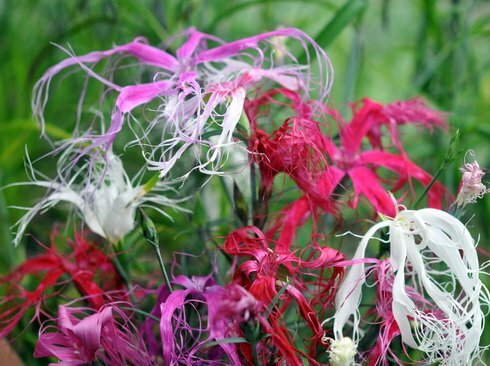 Colour is from a clear white through palest pink to a vibrant red and the flowers have very serrated petals.